Having been bushwalking again the next few photographs will illustrate a track through Oxley Wild Rivers National Park (Dangars Falls area). Today’s walk started out overcast, with low cloud. 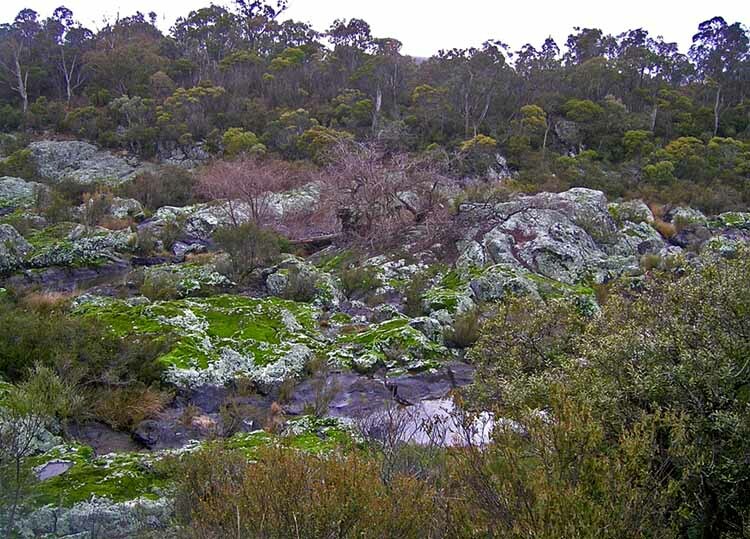 This busy image illustrates the bushland near the top of Dangars Falls. The mosses on the rocks were surprisingly green. Looks like a spectacular walk to me, although a touch on the cold side!